Some highlights and fights from one of the original bad boys of the NHL. 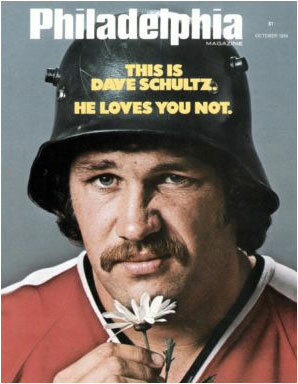 Dave "The Hammer" Schultz (born October 14, 1949) 6'1", 195 lbs was one of the enforcer in the Philadelphia Flyers aka the Broad Street Bullies due to their brutal playing style. During his time as a hockey player, The Hammer earned 2294 regular season penalty minutes, scored 79 goals, and 121 assists, and an additional 412 PIM, 8 goals, and 12 assists in his playoff games.